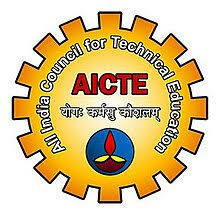 The AICTE is setting up four teacher training academies in the country which will equip candidates with the latest changes in technical education, the council’s Chairman Anil Dattatraya Sahasrabudhe said on 30th September, 2018. The academies, coming up at Thiruvananthapuram, Guwahati, Baroda and Jaipur, will have eight modules that are semester-based, Sahasrabudhe told reporters on the sidelines of ‘The National Conference on Indian Higher Education: Quality Assurance, Accreditation & Ranking’ here. While the 2-acre Jaipur academy will start in one-and-a-half years, the other three academies will also start functioning within two years. The academies were being built on land provided free of cost by the respective state governments with minimum built-up infrastructure facility around the area. The academies will produce “motivated teachers, who will be conversant with fast changing technology in the technical education sector and the teachers’ training course curriculum was being chalked out accordingly,” he said. The top All India Council for Technical Education (AICTE) official said the West Bengal government had been requested for one acre of land for setting up a teacher training academy three months back but “but there was no headway”. “We are still hopeful of a favourable response in future from Bengal,” he said. Urging the institutes to ask for accreditation from AICTE, he said “We will give four year time for accreditation with the enrolment fee of Rs 1 lakh”. “Based on our yardsticks the institutes can be accorded Excellent rating for six year period, or Good rating for three year period,” he said. Those having applied for accreditation but missed out on the ratings of “excellent” or “good”, will be granted “applied for” accreditation status, he said emphasising the accreditation status of concerned institutes will be updated on its website. “The accreditation will help institutions re-orient their curriculum in sync with the changing times, help in undertaking more innovative research projects and go for autonomy as the next step. Autonomy will contribute to the academic excellence of the said institution,” he said adding many state-run institutions are wary of going for the change and that in turn impede on their growth. Referring to the ‘Margdarshan’ project by AICTE, Sahasrabudhe said as part of this initiative, an institute of repute, government or government aided/self financed/AICTE approved will mentor 10 technical institutes for their technical upliftment. He said the AICTE was working towards reaching the 30-50 per cent accreditation figure for technical institutions over the next two years and 100 per cent in four years.